Many teachers say they strive to teach their students to be critical thinkers. They even pride themselves on it; after all, who wants children to just take in knowledge passively? But there is a problem with the widespread treatment of critical thinking as a skill to be taught. The truth is that you can't teach people to be critical unless you are critical yourself. This involves more than asking young people to "look critically" at something, as if criticism was a mechanical task. The misuse of the idea of "criticism" first became clear to me when I gave a talk about critical thinking to a large group of first-year students. One student said that the lecturers she most disliked were the ones who banged on about the importance of being critical. She longed for one of them to assert or say something, so she could learn from them and perhaps challenge what they say. "Critical thinking" is a skill. No it is not. At best this view reduces criticism to second-rate or elementary instruction in informal and some formal logic. It is usually second-rate logic and poor philosophy offered in bite-sized nuggets. Seen as a skill, critical thinking can also mean subjection to the conformism of an ideological yoke. If a feminist or Marxist teacher demands a certain perspective be adopted this may seem like it is "criticism" or acquiring a "critical perspective", but it is actually a training in feminism or Marxism which could be done through tick box techniques. It almost acquires the character of a mental drill. "Critical thinking" means indoctrination. When teachers talk about the need to be "critical" they often mean instead that students must "conform". It is often actually teaching students to be "critical" of their unacceptable ideas and adopt the right ones. Having to support multiculturalism and diversity are the most common of the "correct ideas" that everyone has to adopt. Professional programmes in education, nursing, social work and others often promote this sort of "criticism". It used to be called "indoctrination". "Critical theories" are "uncritical theories". When some theory has the prefix "critical" it requires the uncritical acceptance of a certain political perspective. Critical theory, critical race theory, critical race philosophy, critical realism, critical reflective practice all explicitly have political aims. Criticism, according to Victorian cultural critic Matthew Arnold, is a disinterested endeavour to learn and propagate the best that is known and thought in the world. We should all be as "bound" by that definition as he was. We need only to teach the best that is known and thought and "criticism" will take care of itself. That is a lesson from 100 years ago that every teacher should learn. Critical thinking seen as Arnold defined it is more like a character trait – like having "a critical spirit", or a willingness to engage in the "give and take of critical discussion". Criticism is always about the world and not about you. The philosopher most associated with the critical spirit is Socrates. 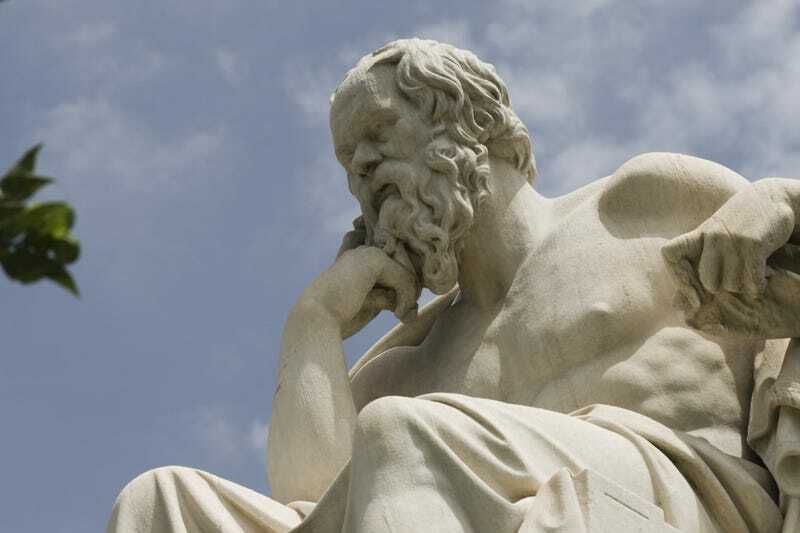 In the 1980s, Australian philosopher John Anderson put the Socratic view of education most clearly when he wrote: "The Socratic education begins … with the awakening of the mind to the need for criticism, to the uncertainty of the principles by which it supposed itself to be guided." But when I discuss Socratic criticism with teachers and teacher trainers I miss out Anderson's mention of the word "uncertainty". This is because many teachers will assume that this "uncertainty" means questioning those bad ideas you have and conforming to an agreed version of events, or an agreed theory.